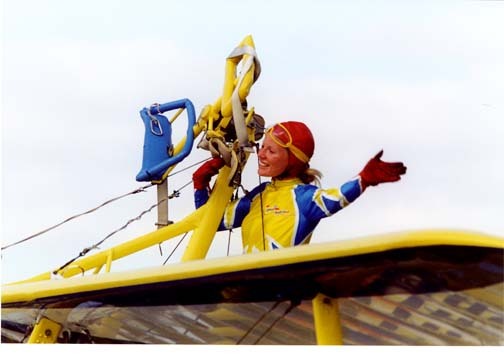 Helen Tempest was wingwalker and operations director for AeroSuperBatics Ltd in the United Kingdom for 25 years. She sent us photos of the team when it was sponsored by Utterly Butterly and sported yellow and blue colors. She is currently marketing director for another aviation team in the United Kingdom. 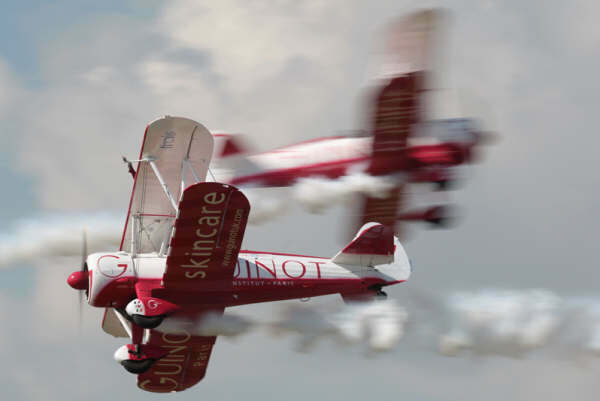 The beautiful and very talented Sarah Tanner has taken on Helen's post of operations manger for the wingwalkers under a new sponsorship of the Guinot skin care specialists. We wish all blue skies and tail winds. 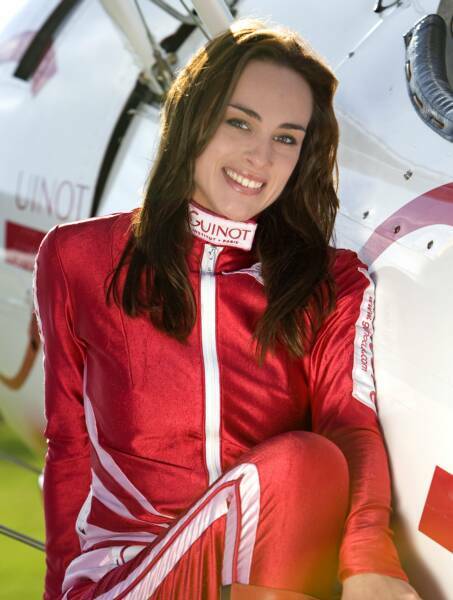 Aerobabes and guy reuinion in the U.K.
Silver Wings Portfolio and videos. 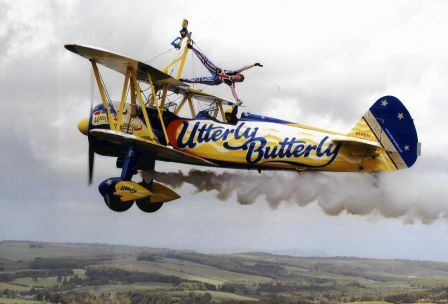 Wingwalker with the Utterly Butterly. 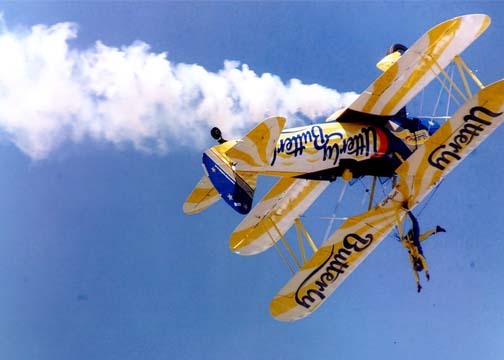 Marie is a treasure chest of wingwalking stories. 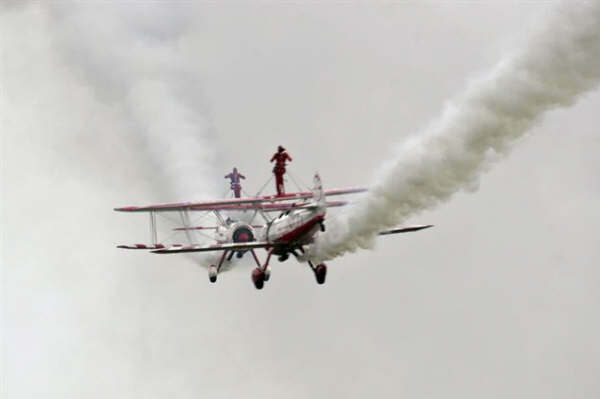 The two wingwalkers shared their safety insights and experiences. 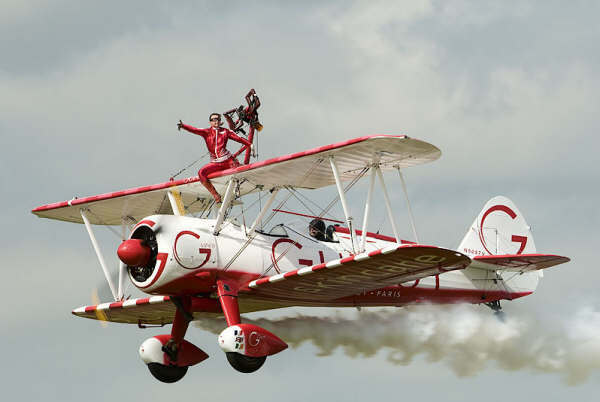 For Margi, " Even with the similarities found in wingwalking, we had unique approaches and different styles and equally difficult stunts." A friendship uniting separate sides of the Atlantic was formed through mutual admiration and respect. 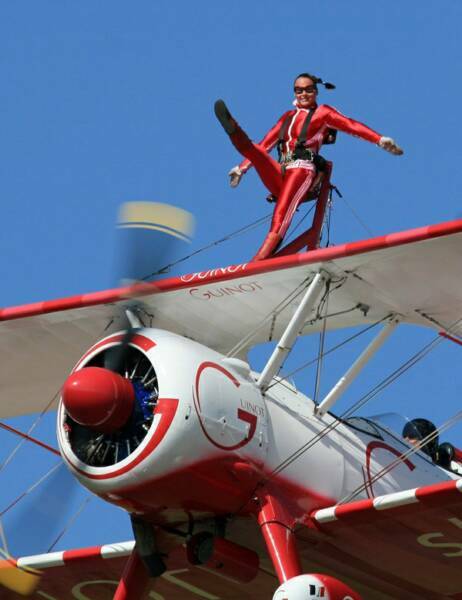 Marie's husband is now based in the U.S.A, and Margi looks forward to wingwalking with Marie in the future. Thanks to the many "aerobabes" that have contacted us and sent photos. 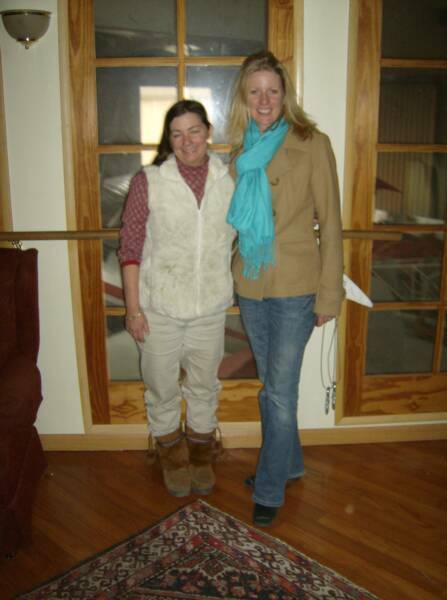 A very special thank you to Marie Killerby for visiting with us.